Welcome to The Carpet Doctor ! Expert Family Carpet Cleaners & Upholstery Cleaners in Weymouth Dorset ~ Carpet & Upholstery Cleaning For 27 Years ! ……….. & Still Loving It ! Friendly Helpful service is only a phone call away ! My Direct Line – Steve ~ 07771628546 ~ Give Me a Call…..
We aim to not just clean your carpets and upholstery & make them smell fresh, but make your life healthier by dealing with allergies and dust mites associated with asthma and breathing difficulties and leave you with a home to be proud of ! – We have carpet cleaners ready in Dorchester, Weymouth, Portland, Yeovil, Blandford, Bridport, Poole, Dorset & South Somerset areas. – We are NOT splash & dash charging a tenner a room but are all about Quality & Detail & A Deep Thorough Clean – We operate through several independant franchisees that have all received the same high standard of training & come with the same level of insurance & commitment that makes us stand out above the rest…….. We Guarantee you will be happy with our service. ~ Why Not Give Us a Try ! 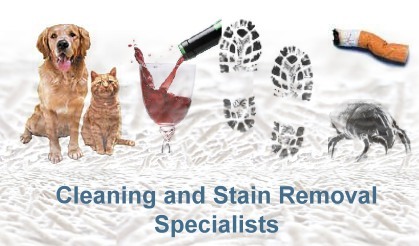 Stain removal is our specialist field and we endeavour to do all we can to deal with unsightly stains and soiling & bad odours. We cover Weymouth & all surrounding areas in Weymouth Dorset within a 15 mile radius. For highly competitive prices and professional service ring us today for a free quote or to discuss your needs. For A Free Quote – Just Fill In & Submit ! We have been serving all parts of Weymouth for over 25 years and continue to provide we believe the most comprehensive home carpet cleaning service in the area. We don’t just offer one system but an array of different ones that we can tailor to the job in hand. We have :- High temperature van mounted steam cleaners, mobile portable steam extractors, low mositure pad system, very low moisture granule cleaning and quick dry system. Just tell us what your need is and we will advise on the best carpet cleaning system for you and your home. If you are in Weymouth or surrounding areas, anywhere in the DT3 / DT4 Postcodes then give us a ring – 07771 628546 / 01305 860133 and I will be happy to give you a free quote & advice…..